Tagged "Call of Duty: Ghosts"
The LEGO Movie Videogame has taken the top spot of the UK chart, becoming the sixth LEGO title to do so. It’s also the fifth LEGO game present in the current UK top 40. Kerching! We attempted to discover what the last movie tie-in to enter at #1 was, and after a spot of research, we firmly believe it was Activision’s Spider-Man 3 back in May 2007. They really are a dying breed, aren’t they? Price cuts help Call of Duty: Ghosts to remain at #2. Chart-Track reports there were 15,000 units between that and The LEGO Movie. Then at #3 it’s Lightning Returns. Incidentally, it manages to enter at #1 in the PlayStation 3 chart, but has to settle for #4 in the Xbox 360 chart. Back to the UK top 40: FIFA 14 falls to #4, while GTA V rounds off the top five. Moving down the chart slightly, Fable Anniversary – which entered at #3 last week – now sits at #10, while Tomb Raider: Definitive Edition also stumbles, dropping from #4 to #11. New PS Vita releases Danganronpa: Trigger Happy Havoc and Toukiden: The Age of Demons somewhat predictably fail to make the top 40, but they do enter the PS Vita chart at #1 and #2 respectively. Then over in the DS chart – which doesn’t see much action these days – LEGO: Marvel Super Heroes enters at #1. After one hefty delay it was finally released last week. Better late than never, we suppose. After being cut to £20 in-store at Tesco and on Amazon – and still available for that price at the time of typing – we anticipated GTA V to retake the top spot of the UK chart. That hasn’t happened, but FIFA 14 has managed to dislodge last week’s chart topper Tomb Raider: Definitive Edition, which now rest at #4. This makes it the 10th time FIFA 14 has claimed no.1 since launch, a feat which only two other FIFAs have managed in the past. Call of Duty: Ghosts is at #2, and then at #3 we find newcomer Fable: Anniversary. Unless we’re mistaken, it’s the first Xbox 360-exclusive from Microsoft since March 2013’s Gears of War Judgment. That’s crazy that is. LEGO Marvel Super Heroes rounds off the top 5, just like it always does. Expect The LEGO Movie Videogame – out Friday – to join it in the upper echelon of chart next week. Just where is GTA V, you ask? That’s at #6, up a mere two places. And there we were thinking the UK is a nation of bargain hunters. …FIFA 14. We guess the image above was kind of a giveaway. It’s EA’s first FIFA to become Christmas number one since FIFA 09, and the publisher’s 14th Crimbo numero uno since the chart began 28 years ago. Call of Duty: Ghosts is at #2 – Chart-Track claims that FIFA outsold it by a remarkable 17,000 copies. We did hope that the more deserving Assassin’s Creed IV would become no. 1 off the back of GAME’s current £22.49 deal, but it has to make do with #3. Battlefield 4 is at #4 and LEGO Marvel Super Heroes at #5. The rest of the festive top 10 goes like this: GTA V at #6, Just Dance 2014 at #7, NFS Rivals at #8, PlayStation 4 pack-in Killzone: Shadow Fall at #9 and Minecraft: Xbox 360 Edition at #10. Remember when we predicted that Just Dance 2014 was going to flop? Although Nintendo doesn’t haven any titles in the top 10, there are nine Nintendo games elsewhere in the top 40 with the highest of these being Animal Crossing: New Leaf at #17. The delightful Super Mario 3D World has to settle for #33, down four places this week, while a trio of other Mario games finish off the Christmas chart including a re-entry for New Super Mario Bros. U at #40. Call of Duty: Ghosts sits on top of this week’s UK chart like a good boy, becoming the UK’s third fastest selling of the game of the year behind GTA V and FIFA 14. We’re still unsure how well it has sold when compared to previous Call of Duty titles, but we do have a few curious facts to muster over. Despite the console itself a couple of weeks away, the PS4 version managed to outsell the Wii U version last week. Not only this, but it sold more than the PS3 versions of both Assassin’s Creed IV and Battlefield 4. The official breakdown goes like this: 62 per cent of sales on Xbox 360, 34 per cent on PlayStation 3 and 3 per cent on PS4. Wii U and PC counted for less than a single per cent. With CoD: Ghosts at #1, Battlefield 4 falls to #2 and is then followed by Assassin’s Creed IV, FIFA 14 and GTA V to form the UK’s top 5. Professor Layton and the Azaran Legacy is the only new entry in the UK top 40, arriving at #13. New arrivals are few in number in the single-format charts as well, although we do spot Mario & Sonic at the Sochi Winter Games 2014 sliding in at a lowly #10 in the Wii U chart. We genuinely dread to think how few copies have been sold. When gamers grumble about the imminent arrival of next-gen consoles, proclaiming that the Xbox 360 and PlayStation 3 still do their job in a more than satisfactory manner, a little fact we like to bring up is that the Xbox 360 iteration of Black Ops took up so much space that only a paltry 1MB was left on the disc. With this in mind, it’s quite discouraging to find that even with next-gen versions, not to mention a forced install – à la GTA V – for the Xbox 360 version, Call of Duty: Ghosts feels like a step backwards for the franchise. Quite what the developers have used that extra storage space for is a mystery. It doesn’t look any better than previous Call of Duty games – at least on Xbox 360, some shoddy shadows effects aside – and at around 5 hours or so the single player campaign isn’t any longer than what we’ve seen before either. When compared to Black Ops II – which experimented with a few new ideas, lest you forget – innovation is especially low on the ground. Ghosts shows its hand surprisingly early in fact, with one of the first missions adding canine companion Riley to your team of supremely stealthy soldiers. Although it’s pleasing to have both direct and indirect control over Riley, the inclusion of some animal magic doesn’t add a great deal. This is partly because Riley is only available to command for this one single mission. Another reason is because of the gung-ho nature of the game, no real emotional attachment is felt. Like the good boy he is, Riley will bite enemies when instructed to and that’s about as far as involvement goes. We were hoping that the ability to bark in order to distract enemies would lead to some unexpected, totally unscripted, moments, but this too is an idea that’s underused. Or indeed, isn’t used at all. Of the 18 levels on offer, only two stand out as outright highlights – a frankly brilliant siege into a skyscraper, which includes a spot of repelling followed by a swift exit on parachute, and an alluring underwater mission that sees wetsuited and booted enemies attacking from all angles. Gunplay is slightly sloppy during this section however, which leads to a few unfair deaths. Sign posting is also on the whole sloppier than before, causing a stealthy jungle mission to be tougher than it should be. 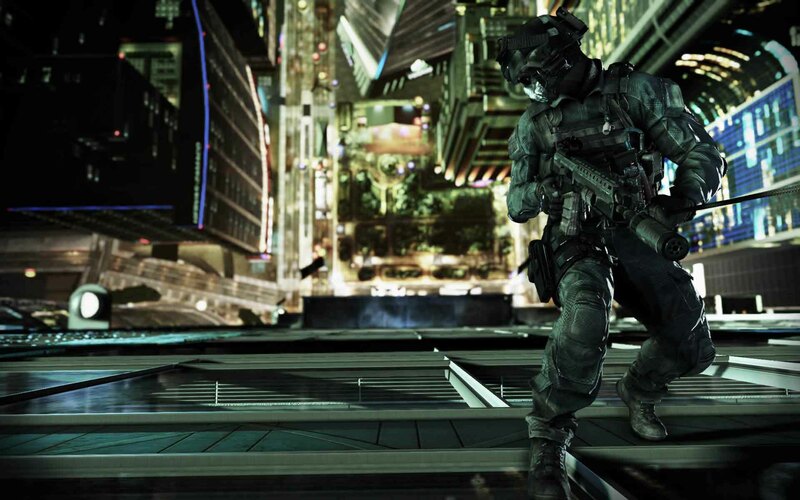 Call of Duty: Ghosts review round-up – all bark and no bite? Call of Duty: Ghosts is out today and with the review embargo – which was 8am this morning – now lifted here’s a timely review round-up. The Official PlayStation Magazine and Eurogamer, amongst others, reviewed the PlayStation 4 version, while other websites – such as EGM – settled for reviewing the current gen versions. As the likes of Eurogamer point out, they were invited to an event to review the game rather than play it from the comfort of elsewhere. You can bet this’ll be the case for a lot of the Xbox One and PlayStation 4 titles en route this month too. 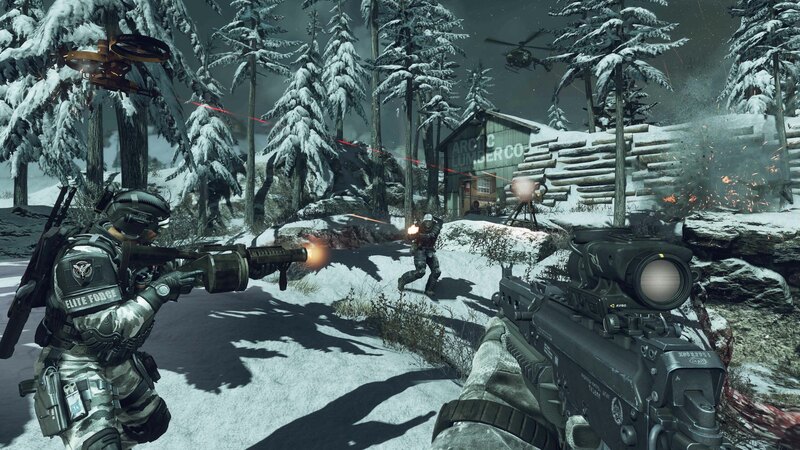 General consensus has it that Call of Duty: Ghost is pretty darn good, but still a missed opportunity. The Official PlayStation Magazine claimed that while playing it on PS4 it was easy to forget that they were playing on a next-gen console. EDGE echoed this, while adding that by the next time Infinity Ward gets to show off what they can achieve on the new formats it may be too late. American sites such as IGN have given it an easier ride, with the exception of Destructoid who dished out the lowest review score so far – a mediocre 5/10. North America is still waiting for the boxed release of New Super Luigi U – we in Europe got it last month. 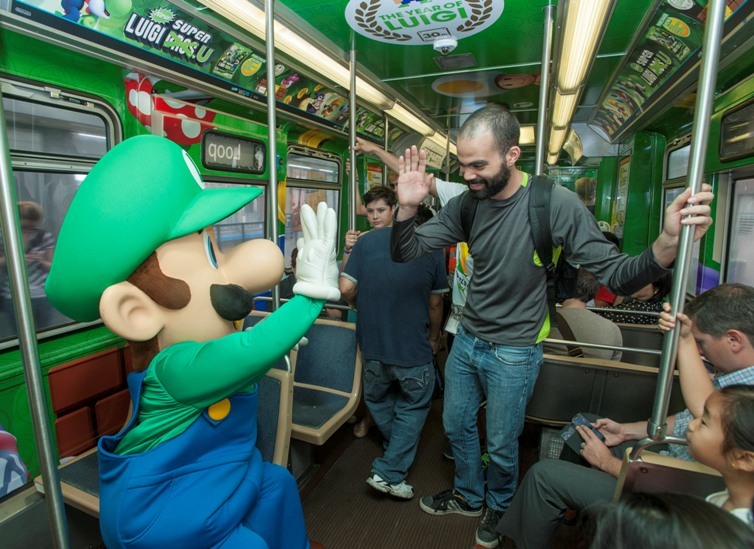 Still, at least they’ve got this Luigi branded train to make up for it. It celebrates the curiously late launch of the game later this month, and the wider Year of Luigi. That marks the character’s 30th anniversary, which is confusing given that Nintendo celebrated Super Mario’s 25th anniversary only three years ago. Anyway, the train is on the Chicago ‘L’ – short for ‘elevated’, North American public transport fans – and having been unveiled on Monday, it’s going to run until 8th September. Fingers crossed the actor in the Luigi costume won’t have to remain on board the entire time. 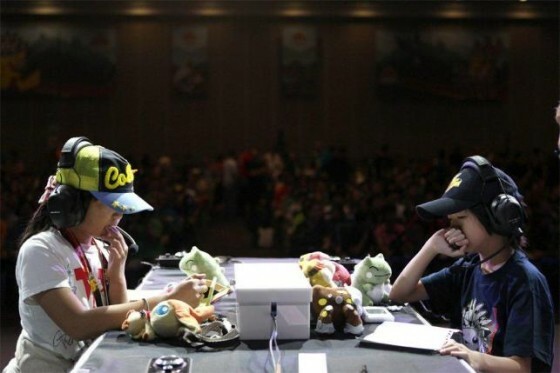 That’s what competitive Pokemon looks like – a cross between Blockbusters (with all the mascots) and a particularly poor staring contest. It was the 10th Pokemon World Championships last weekend, covering both trading card and video game interpretations of the catch ’em all juggernaut. Smartly, winners get not only a lovely Pikachu trophy, but also scholarships – presumably for university, rather than further Pokemon training. There are three age groups, and the shock news this year was that the top video game masters division was won for the first time by a European – Arash Ommati from Italy. The new system is so-called as it has been designed to be an “all in one entertainment hub”. 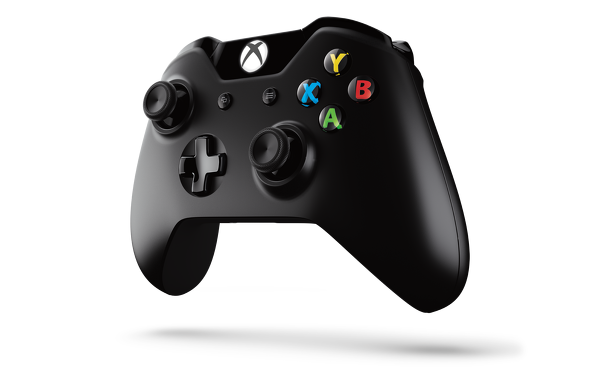 Microsoft hopes it’ll cater for all your needs – TV, movies, music and of course games. 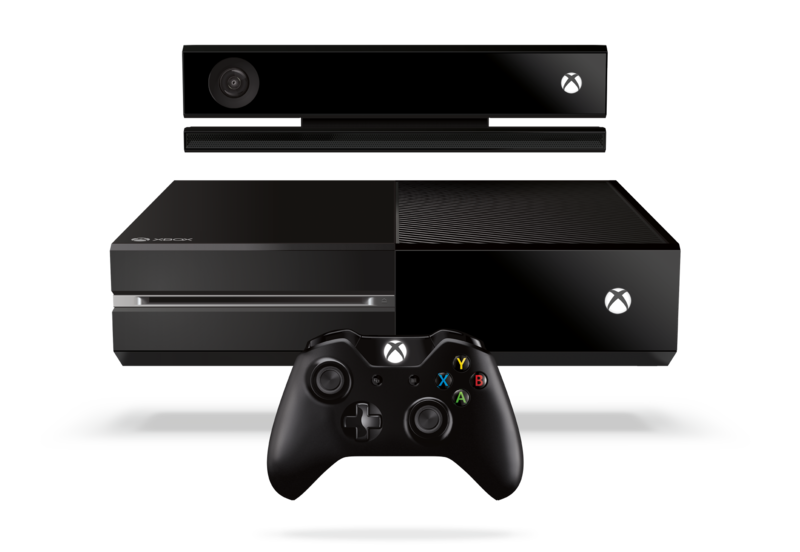 It has a Blu-ray drive, 8GB RAM, a 500GB HDD and – most significantly – the Kinect 2.0 will ship with every console. Microsoft was also keen to talk about the future, claiming that new features will be added constantly. The system itself is an angular beast, comparable to a set-top box. Or an Amiga CDTV, if you’re one of the few gamers to have ever laid eyes on one. Although the joypad may seem similar, over 40 nips and tucks are promised including an integrated battery and increased precision. The Kinect 2.0 meanwhile can capture video at 1080p and 30fps, and is now so accurate that during a fitness game it can even measure your heartbeat. There’s SmartGlass support too – Microsoft was pleased to announce that the app has been downloaded 10 million times since launch. Xbox One’s Live service will be powered by hundreds of thousands of additional servers. To illustrate how this would improve playing online it was claimed that matchmaking will be vastly improved – Xbox Live can search for your next match while you’re playing and even while watching a movie. Achievements too are being tinkered with. “They now tell the story of how you play”, said Microsoft. There was talk of unlocking achievements in new ways, and from the gist of things new achievements can be added on the fly. Achievement hunters will no doubt be pleased to hear that achievements and Gamerscore can be carried over. Likewise, Xbox Live Gold memberships can be transferred over. We approve of all of these things.